You always receive a Free, No Obligation, On-site Estimate. 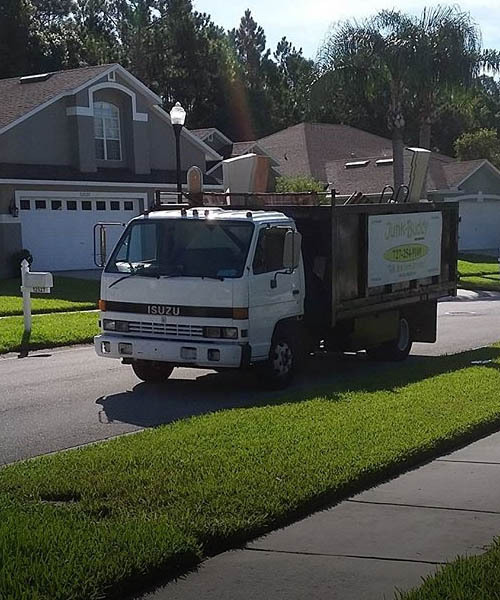 Junk Buddy's Junk Removal team is the best choice for all your junk hauling, debris pick up, and bulk trash removal needs in surrounding Tampa Bay areas. Junk Buddy's Junk Removal Services was started in 2015 with the idea to have a positive impact with amazing service. Each day we go out into our community remove and haul away the junk in a professional manner. After our truck team leaves your home or business, we do our best to donate and/or recycle your junk before heading to the local transfer station. 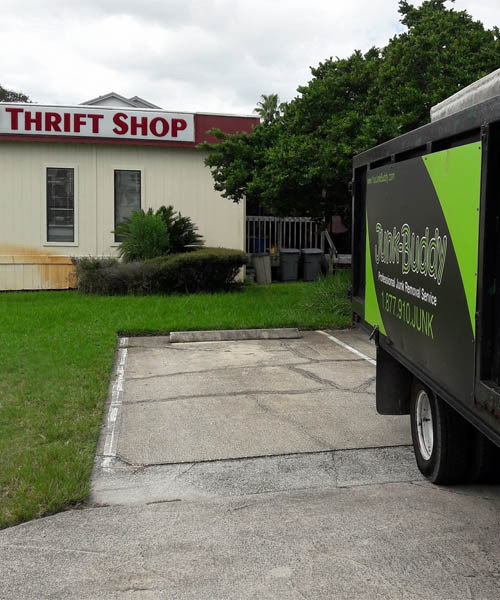 Our customers feel great knowing they don't have to break a sweat to get their clutter clean and by using our junk removal service they'll have a positive impact on the environment and people in need. Why use Junk Buddy for your next junk removal? Did you know? Compare to a dumpster rental, truck rental, or bagster you get more value for your dollars spent with our full junk removal service. How? It’s simple. Our team at Junk Buddy, is dedicated to providing junk removal specialist you can trust to have at your home or place of business. We are insured, uniformed, & polite. ​Why risk injury of lifting Heavy junk when our two junk removal specialist will handle the heavy lifting & hard work for you. We remove couches and entertainment centers from anywhere! Our Full Service Junk Removal is more affordable than you think. First we are a local service. Our trucks are some of the biggest in the industry. This means you save more money with Junk Buddy. I needed junk removal after hurricane Irma. I called the company on Friday and they responded quickly and were here the next day. I looked at several companies and decided on Junk Buddy. The service was great. The two guys that came out were professional, nice, polite, helpful, and did a great job. The price was reasonable and certainly within the range I had budgeted. I am very happy with this service and will use again. Absolutely great! Easy online booking for an appt, they came out the next day. 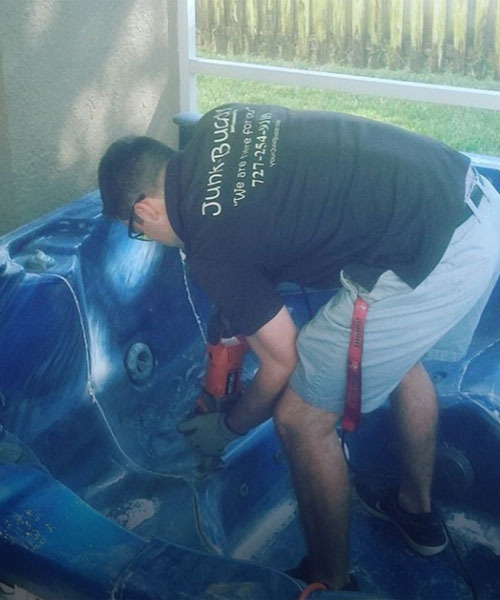 Gave me an on-site free estimate and then got straight to work. Both gentleman were very professional and nice! HIGHLY RECOMMENDED!!!!!! Junk Buddy was on time, easy to use, very polite and helpful I cannot recommend them enough. Josh really is a great guy! On time, affordable and they swept up my mess after they left! Really can't ask for better service. Call Josh with Junk Buddy ASAP for all your Junk Removal needs. Great service at a great price. Wouldn't go with anyone else. 10/10 would recommend. Excellent service! On time and very professional!! Highly recommended! I had a great experience with JunkBuddy. Rafael and Mike are professionals and did great and fast work. They called ahead and arrived early. They were very polite and attentive. Once I explained what needed to be hauled away, I was provided a quote for the work instantly. I felt the work was reasonably priced. After the impression they made today, I will absolutely use JunkBuddy again. I’ll also be telling my friends and neighbors about them. Thanks again! My experience with junk buddy was excellent. 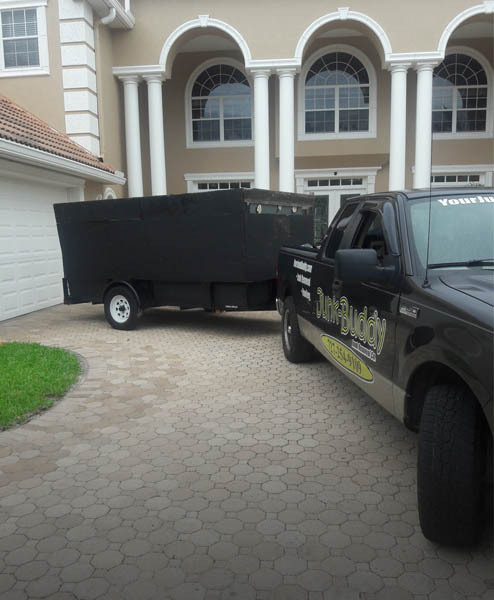 I have used contractors throughout my 20 years in Florida and Junkbuddy is head and shoulders above many of the contractors I have used. It Is not often that I take the time to actually review a company I use but I truly believe that Junkbuddy went above and beyond in all aspects of my dealings with them. I have recommended them to several of my friends and will continue to do so. Rafael and Michael arrived early ( called first) and were exceptional. Did a tough job, and realised I was a disabled vet., went to great legnths to make sure all was done to perfection. Both were both personal and professional. Will use again.